Happy new year, dear reader! I apologise for the absence. I took some time off the Internets to read more books, write and notice the people around me. A lot of times I get carried away talking about books and my actual writing actually doesn’t get done. It was so good for me to step away for a bit and plan ways #SsmUg can be a better place for us all in 2014. I enjoyed the time away and as you can imagine, one of my resolutions (yes we still do resolutions) is: Less Internet. More Books. This must be a little confusing since #SmsUg is an online platform but sometimes I start at the dashboard of somanystories.ug and then open 13 other tabs on my browser, none of them about writing or reading. So less pinterest. More books in 2015. 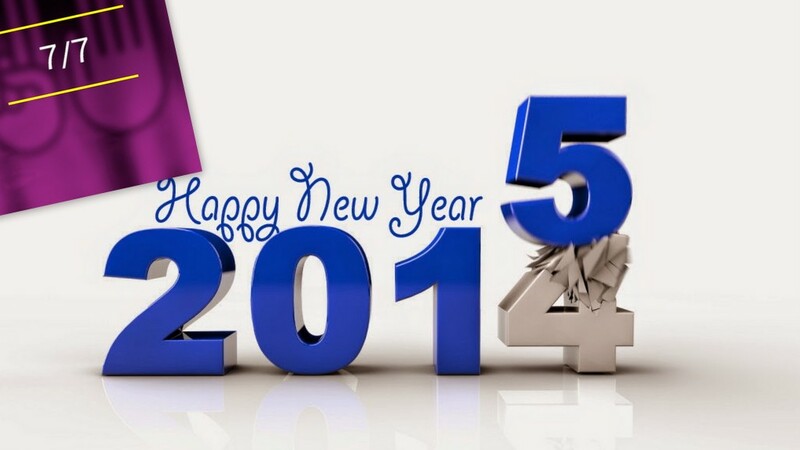 I am so happy to see you this year and I look forward to all the wonderful things we are going to accomplish. Let’s get this party started. 1. Have you heard about the Bremen & Kampala: Spaces of transcultural writing? Let me tell you about it. This January, Ugandan playwright, Deborah Asiimwe, Ugandan story-teller Ssekandi Ronald Ssegujja and I will be sharing experiences as writers in Kampala with German writers Nikolas Hoppe, Jens Laloire and Nora Bassong. If you are a writer, you know how lonely it gets sometimes. Most times the solitude is great especially when the ideas are flowing and you actually love what you are creating. But sometimes, especially when you doubt whether you are on the right track, you need people to bounce ideas off of and to learn from. And so this month we get to share our writing processes, tools, finding an audience for our work, balancing writing with other aspects of our lives, how being at home or away from home affects our writing and the differences and similarities between the Bremen and Kampala Literature scenes. Besides the fact there is a lot to learn from fellow writers, it is good to know that I am not alone on this journey. 2. The year closed off with the publication of Daniel Kalinaki’s Kizza Besigye and Uganda’s Unfinished Revolution. Kalinaki, the former Managing Editor of The Daily Monitor says he wrote the book to find out what motivates Rt Col Dr Kizza Besigye’s political struggle and to reflect on the politics of Uganda for the past 30 years. Anyone who has read Daniel Kalinaki’s columns in the papers knows he is a brilliant writer and if politics is something you, dear reader, are interested in then this is a book you might love. The book is available at Mukono Bookshop, Nice Book Centre in Naalya and Bookpoint Uganda. 3. The Femrite Readers/Writers Club is back. To start the new year, they will be hosting Kenyan writer Ciku Kimeria, author of Of Goats And Poisoned Oranges today at the Femrite courtyard. Come on over and meet Ciku Kimeria at the Femrite Club at 5pm. 4.The Lantern Meet Of Poets will present another recital on 23rd and 24th January at The National Theatre. What Shall We Name This Child? will explore the theme of culture and identity. Using the hastags #LanternIdentity and #WhatsInAName, share what your name means on their Facebook page or twitter. 5. Do you think it’s too soon to talk about Valentine’s Day? BN Poetry Award does not think so. 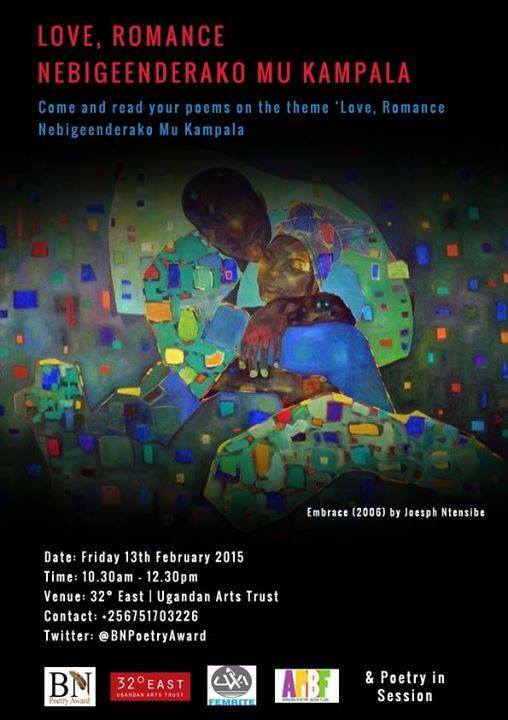 If you’re a poet, you should be penning down a poem you will read at the Love, Romance nebigeenderako poetry reading that will take place of February 13 at t 32° East | Ugandan Arts Trust. Follow the BN Poetry Award Facebook Page for updates and details. If someone wrote a book about your life in 2014, what kind of genre would it be? A comedy, love story, drama, film noir or something else? I wish you all a wonderful, wonderful new year and thank you so much for making 2014 very special for Sooo Many Stories. Here is to true love, pure joy and great books! Lol…i think my life story genre would be a drama.!! I am really looking forward to the lantern meet of poets…and then the kind of genre my life book would be??? hmmmm…i need to review this book.tihihihi. Happy New Year to you too Nyana, thanks for all the updates and good work.